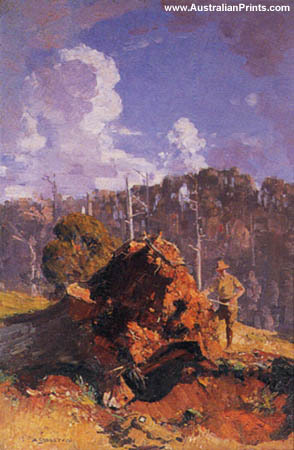 Arthur Streeton was an Australian landscape painter and leading member of the Heidelberg School, also known as Australian Impressionism. 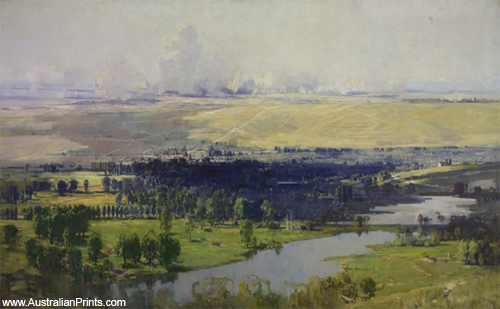 Sir Arthur Ernest Streeton (8 April 1867 – 1 September 1943) was an Australian landscape painter and leading member of the Heidelberg School, also known as Australian Impressionism. 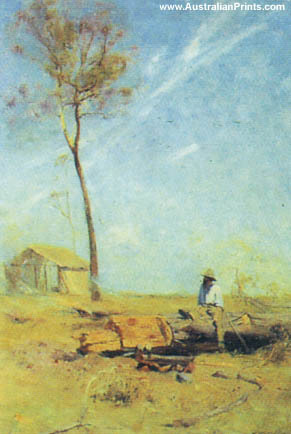 Arthur Streeton was a student at the National Gallery of Victoria School from 1882-88. 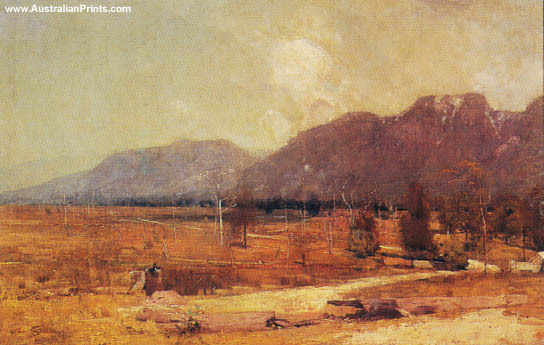 He joined regular ‘plein air’ painting excursions to places around Melbourne including Heidelberg and Templestowe and was invited, by his drawing teacher Frederick McCubbin and fellow student Tom Roberts, to join the artists’ camp at Box Hill. 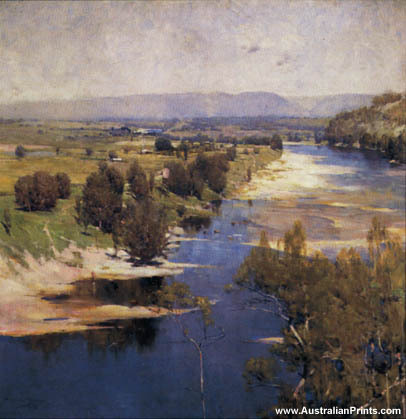 In 1888 he founded the famous Heidelberg artists’ camp at Eaglemont and the following year contributed 40 works to the group’s 9 x 5 Impressionist Exhibition. During his student years, the two artists whose influence he felt most strongly were the French Barbizon School landscape painter Corot and Louis Buvelot. 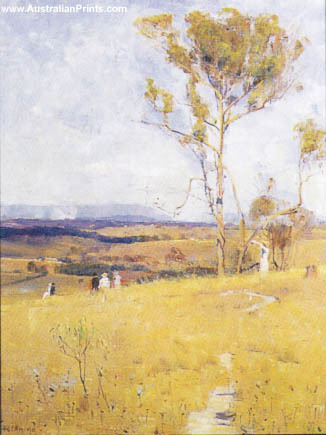 Streeton’s tremendous local success began with the purchase by the Art Gallery of New South Wales in 1890 of his ‘Still Glides the Stream’. 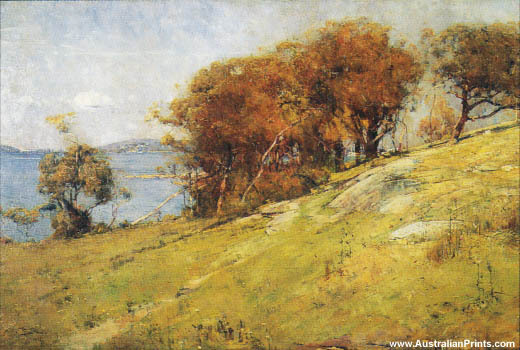 This took him to Sydney where he lived in camps around Sydney Harbour with other artists including Tom Roberts. 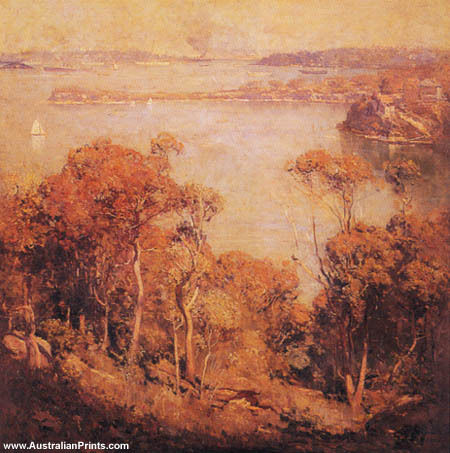 Sydney Harbour and the Blue Mountains were his two favourite painting locations at this time. Between 1890 and 1914 he lived in and visited Melbourne (and environs), Adelaide, Sydney, Chelsea (England) and Venice. 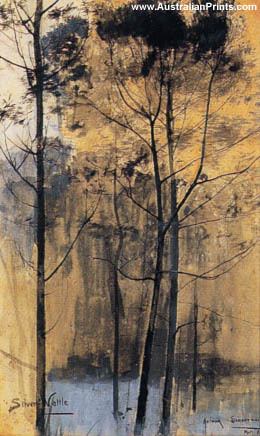 During the First World War he served first in the medical corps then, in 1918, as official war artist. In 1924 he settled in Victoria and was knighted in 1937. 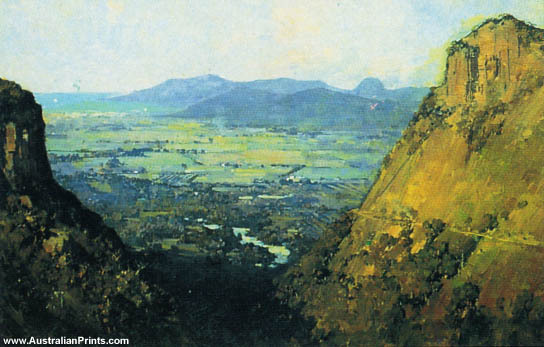 Artist information page for Arthur Streeton. 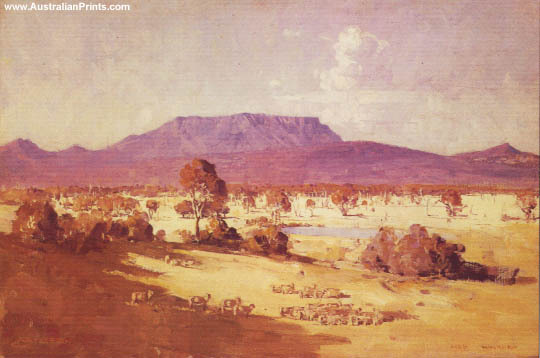 This article uses material from the Wikipedia article Arthur Streeton, which is released under the Creative Commons Attribution-Share-Alike License 3.0.